NEW DELHI: Garmin has launched three new wearable devices at the IFA 2017 conference in Berlin. The firm, which already has a decent portfolio of fitness bands and smartwatches, launched the Vivoactive 3, Vivomove HR and Vivosport. All three devices are listed on the company’s website along with specifications and prices. 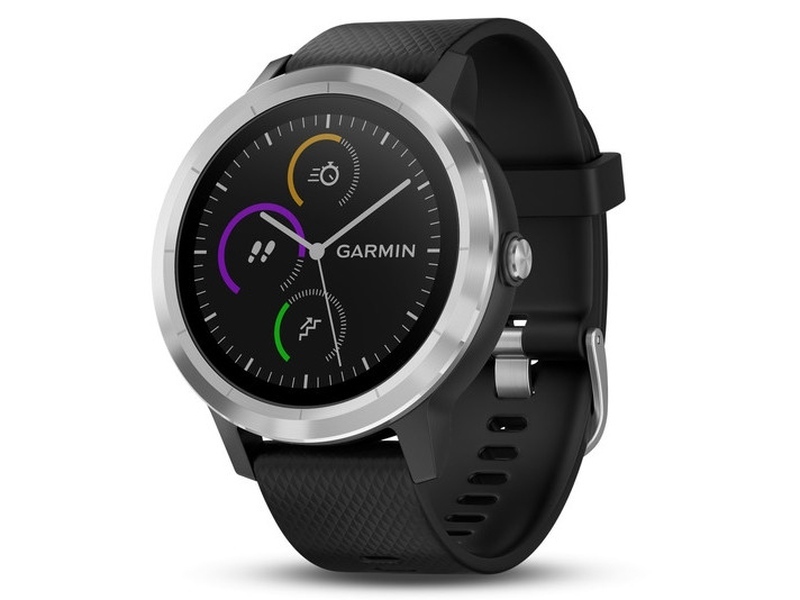 The Garmin Vivomove HR starts at $199.99 and goes up to $299.99. You will be able to purchase the device’s Sport and Premium variant in small/medium and large sizes. It also comes in four colour combinations – Black with black silicone band, Rose Gold with white silicone band, Silver with dark brown leather band and Gold with light brown leather band. It sports a stainless steel bezel, which encloses a circular OLED display with 64×128 pixels. It has a touch screen display and a water-resistant build. Garmin says the Vivomove HR can run for up to 5 days in smartwatch mode and up to 2 weeks in watch mode on a single charge. It can store history of up to 7 timed activities and 14 days of activity tracking data. It sports most of the functionalities that we see in other fitness bands as well. Compatible with Android, iOS and Windows platform, the Vivomove HR weighs 40.8 grams for Sports model and 56.5 grams for Premium model. The Garmin Vivoactive 3 was the highlight of the event as it also debuts with Garmin Pay, a wireless payment platform by the company. The service is compatible with select credit and debit cards from MasterCard. The smartwatch also has a ‘swipe control’ feature wherein users can quickly scroll across apps just like we’ve seen in the Apple Watch. The device’s price range goes from $299.99 to $329.99. It comes in three colours – Black with stainless steel hardware, Black with slate hardware and White with stainless steel hardware. The Vivoactive 3 has a 1.2-inch (diameter) display with 240×240 pixels and is water resistant with up to 5 ATM level. The device is rated to run for up to 13 hours on GPS mode and up to 7 days on the smartwatch mode. It can also record 7 timed activities and 14 days of activity tracking days. Besides tracking the steps, sleep and the overall health, the Vivoactive 3 is compatible with iOS and Android devices. It can also recognise the activity done by users. 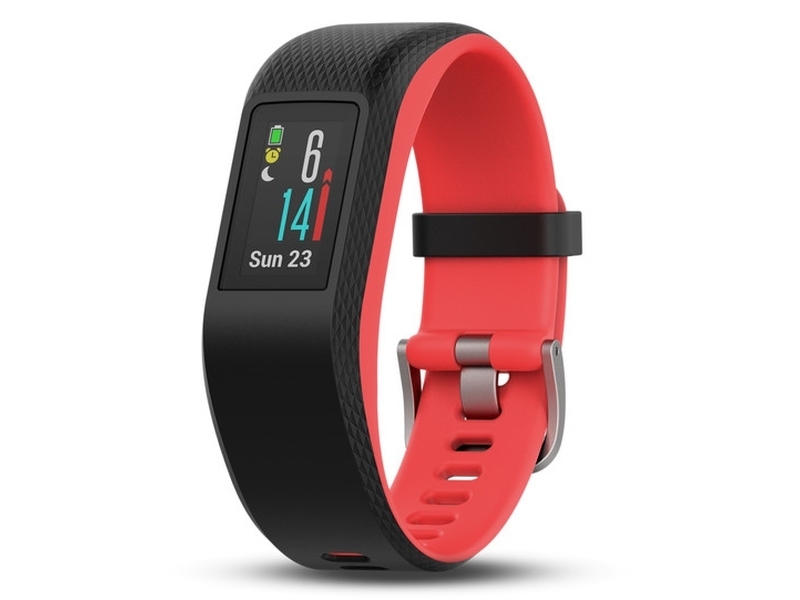 The Garmin Vivosport is a fitness band that comes with a price tag $199.99. It comes in two versions based on the size — small/medium and large. While the small/medium variant comes in Slate and Fuchsia Focus colours, the large variant comes in Slate and Limelight colours. It has a 9.7×19.3mm rectangular screen with 72x144pixels. The device is said to run for up to 8 hours on GPS mode and up to 7 days in smartwatch mode. Like the Vivoactive 3, the Vivosport also records up to 7 timed activities and 14 days of activity tracking days. It supports iOS, Android and Windows OS and sports all the functions seen in a typical fitness band.